Facebook confirmed a few days ago that it is now testing a lite iOS version of its social app. As part of the testing process, the company launched Facebook Lite for iOS in Turkey so that select users can try it out and point any design flaws or bugs. 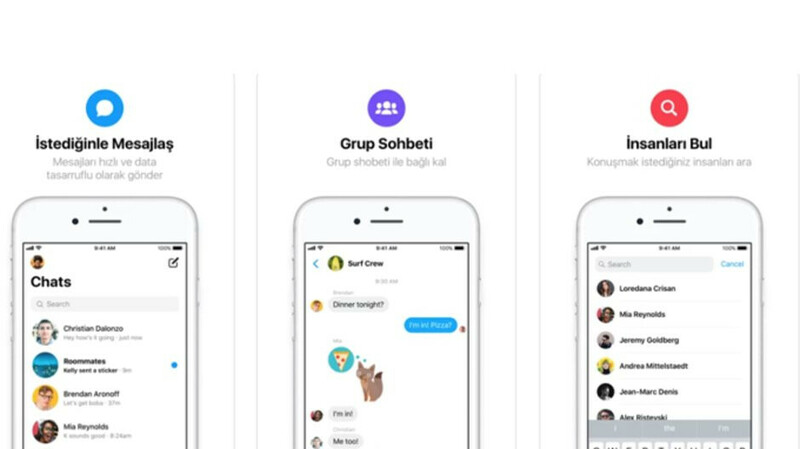 Today, Facebook announced that Messenger Lite for iOS is now available for download, but, just like Facebook Lite, only in Turkey, TechCrunch reports. Obviously, this is a beta version of the app, otherwise, Facebook would have made it available in more countries. When we first rolled out FB Lite and Messenger Lite as standalone apps, our goal was to deliver the power of a native app, with as many of the same features as possible while still being lightweight. Up until now, FB Lite and Messenger Lite have only been available on Android. Now we’re testing these experience on iOS. We’re committed to connecting people with the things they care about – no matter their connection, device, or where they live. Unlike the standard Messenger app, the lite version is only 10MB in size. Messenger Lite for iOS is meant to use less mobile data and phone storage, but provide all the core features of the full-fledged app at the same time. Messenger Lite for iOS is now available for download through the App Store, but you can only get it in Turkey, or if you have an Apple account for this specific country.